Get a city chic feel in this second floor condo with Ohio River views. Located in the historic Harbison in the heart of Museum Row. This building sits directly across from Museum 21 C Hotel. This one bedroom unit has a bonus glassed in sun room off the master, large open living, Kitchen and dining areas with beautiful natural light flowing from the large windows. 11 ft. ceilings with original oak hardwoods throughout, built in shelving,1.5 baths and laundry room in the unit. This is a secure building with reduced priced parking next door at Muhammad Ali Center. It requires a key pad entry,provides elevator access to the unit floor, mail/ package area and additional basement storage. Pets and rentals are permitted no Air BB. 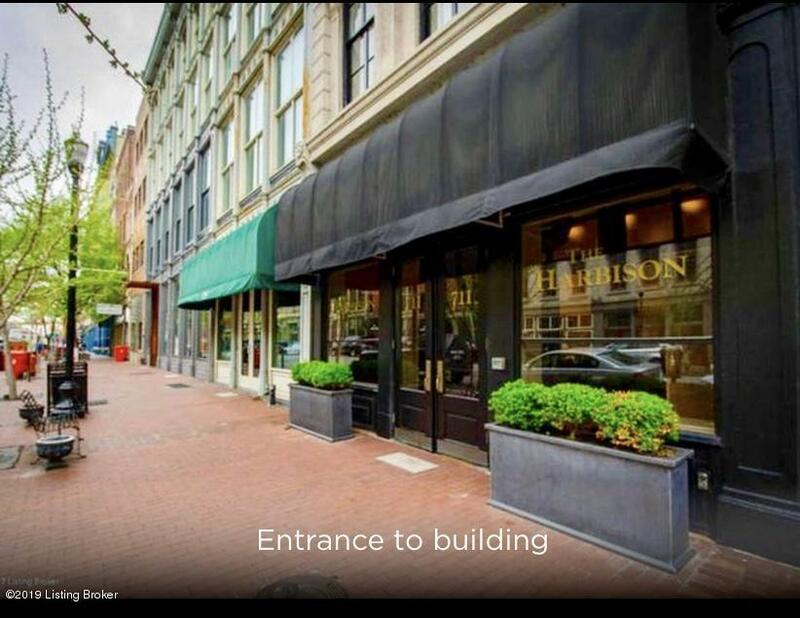 It is walking distance to Actors Theatre, water front ParkPlace, Frazier, slugger, Yum, the, Louisville ballet, Ky Center of the Arts, 4th St. and many eateries in the area. City living at its best! Call for your private tour today.